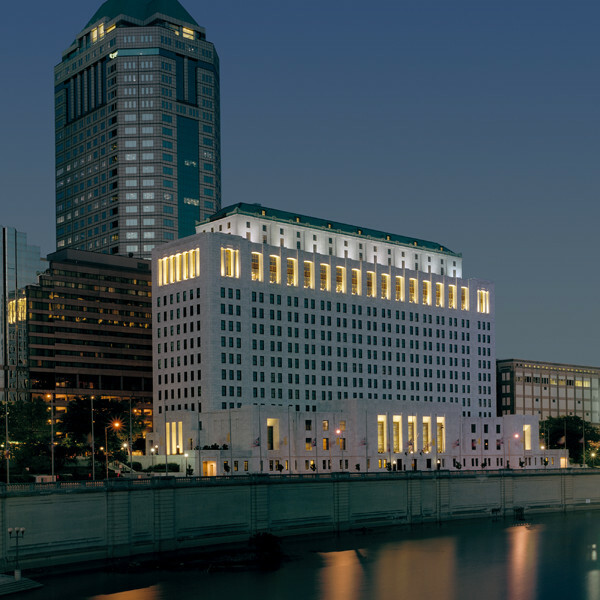 Dominating the downtown riverfront in Columbus for years, this historic office building was underutilized ever since its original tenant, the Ohio Industrial Commission, moved to new quarters. 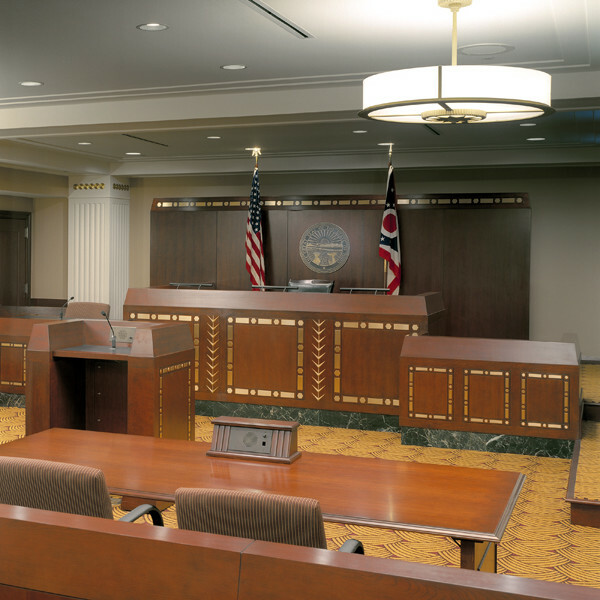 Moody Nolan teamed with Schooley Caldwell Associates, the lead architect, on the renovation of the former Ohio Departments Building to create the Ohio Judicial Center housing the Supreme Court of Ohio. 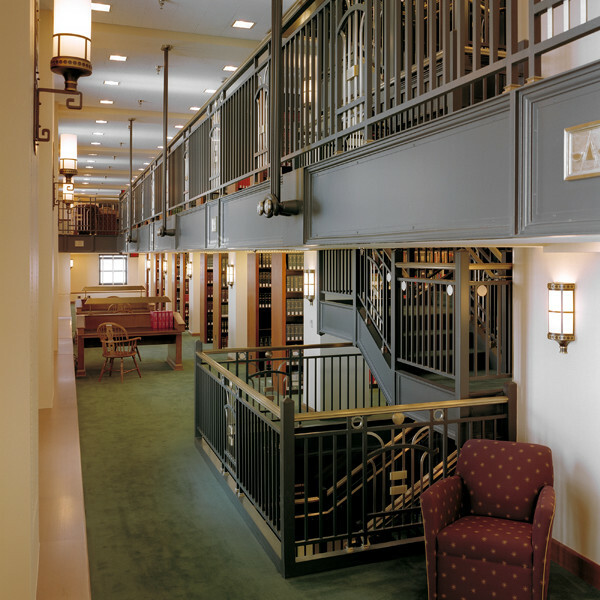 Originally built in 1930, the Ohio Departments Building is a 414,000 sq. ft., 14-story office building constructed in the Art Moderne style. 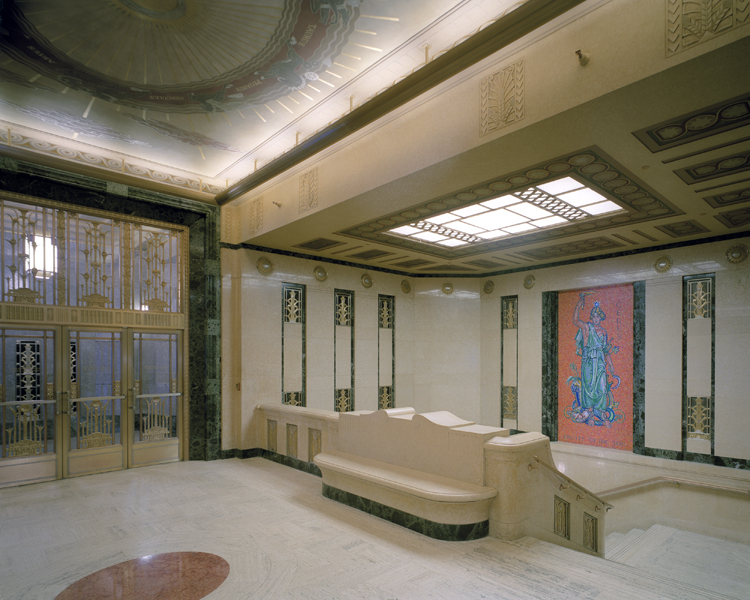 It contains many superb public spaces that are lavishly detailed with marble, woodwork, decorative plaster and artwork from the Art Moderne and Art Deco styles of the period. 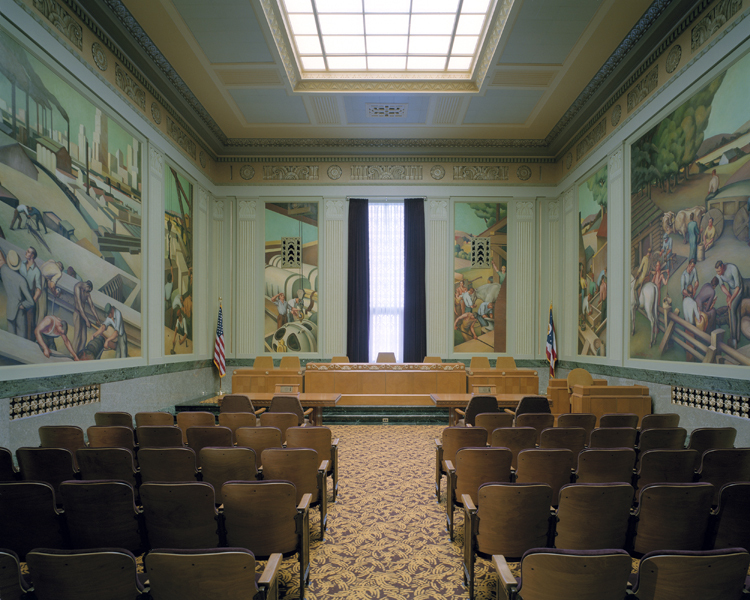 The cumulative six-year effort began with a feasibility study and ended with completion in early 2004. 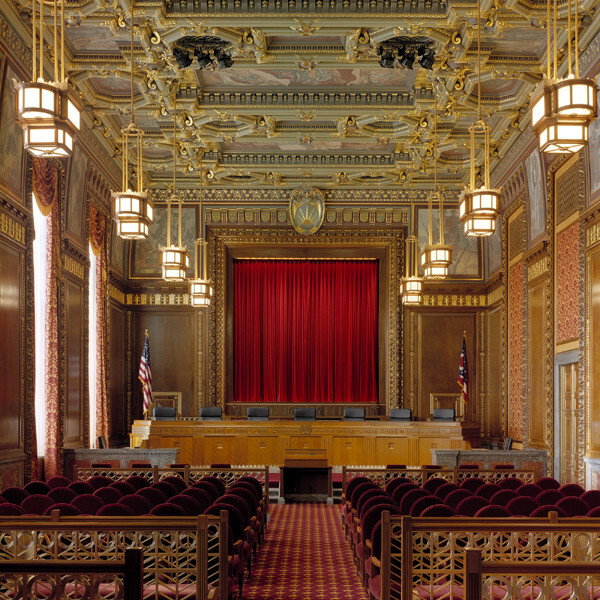 The project completely restored and renovated the building to house the Supreme Court of Ohio and all of its associated departments. 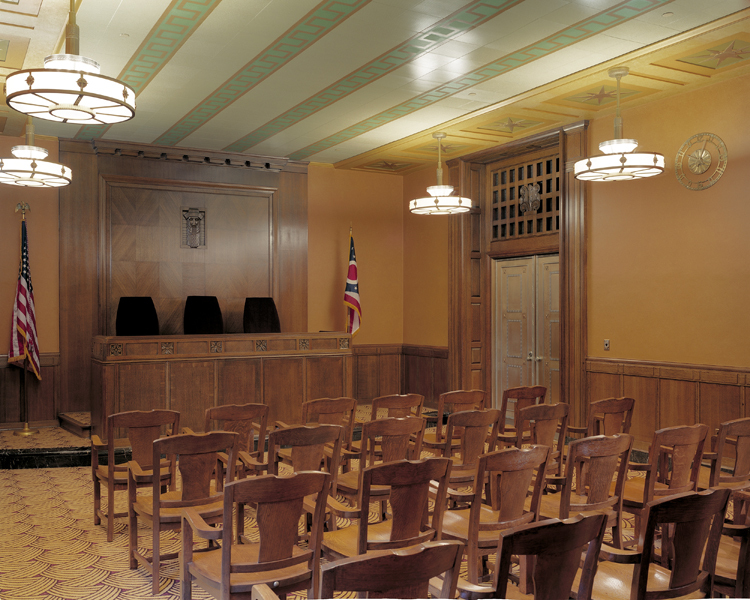 The building is a historic landmark for the City and was listed in the National Register of Historic Places in 1990.